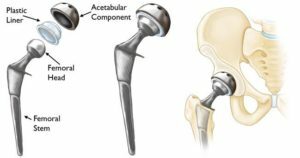 Total hip replacement is a procedure that has a lot of success with helping people reduce pain and improve function that is lost from often years of dysfunction due to arthritis. At SSOR, we see many patients after total hip replacement that have goals as simple as walking and taking stairs to being able to more complex activities like gardening or hiking or sometimes even sports. We are committed to helping you achieve those goals and we take an approach that is both manual therapy and exercise based with your goals and priorities at the center of our treatment plan. Why should I get a Total Hip Replacement? For most people, the primary indication is hip pain. A secondary indication is often limping as a result of the arthritic changes in the joint causing limited motion and pain. Really, these two indications go hand-in-hand. If you have stiffness, limited range of motion in the hip, limping, and low tolerance to activity, you might be a good candidate. What is physical therapy like after Total Hip Replacement? Usually, your physician will guide when he/she wants you to start physical therapy. Sometimes, they have you do a few weeks of home-based physical therapy because leaving the house is just too painful or you may have co-morbidities that are affecting your ability to get around. Most of the time, this is about 3 weeks or so. During this time of home-based physical therapy, you’ll of course work on range of motion (ROM) and strengthening, but also such things as getting in/out of the shower and on/off the toilet. Believe it or not, those seemingly simple activities are challenging after a total hip replacement. More than likely, you will be using a rolling walker for ambulation. We strongly advise you to transition to a cane first before walking without any assistive device. For some reason, physicians always take people off of their assistive devices and patients end up limping all over town. That is not normal and shouldn’t be encouraged. Talk to your physical therapist about what your next step should be when it comes to gait. Once you get to outpatient physical therapy, the focus will be on restoring your ROM and gait. Additionally, we do extensive soft tissue mobilization on the hip and thigh. Years of dysfunction and pain have left a quagmire of tender points and soft tissue limitations that not only contribute to pain, but also affect muscle function. As your ROM improves and you are closer to walking normal again, we’ll go to work getting you stronger. We start with exercises on your back and side to build a base, then gradually add things like step ups and squats to get you stronger for your day-to-day activities. In addition, we’ll do strengthening exercises for muscles that support the hip like the quadriceps and calves. Another critical piece of your therapy after your total hip replacement will involve balance training. Balance declines naturally with age anyway, and after surgery, it is worse. Balance activities may start with a narrow base of support (one foot in front of the other) and progress to single leg stance. In these positions, you’ll perform various activities to challenge your balance and prepare you for life’s unexpected happenings so when they do happen, you’ll be more able to avoid falls and other injuries. All the strengthening exercises we do initially help “set the table” for better balance down the road. We like to see that you are walking normally and taking stairs in a “normal,” reciprocal fashion without using railings. Additionally, your balance should be the same on both sides. 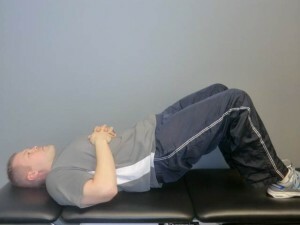 We also like to see that you can lay down on your uninvolved side, raise your operated leg up and down with perfect form and be able to hold it against our resistance. 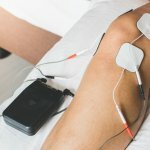 Finally, we want to make sure that your pain is minimal at best and you are well-versed in techniques to alleviate pain if it surfaces. Obviously, we’re a little biased, but we never feel like PT ever ends! “Structured” physical therapy typically goes for 6-8 weeks. After PT is formally complete, you should continue a structured program to prevent a decline in physical function. 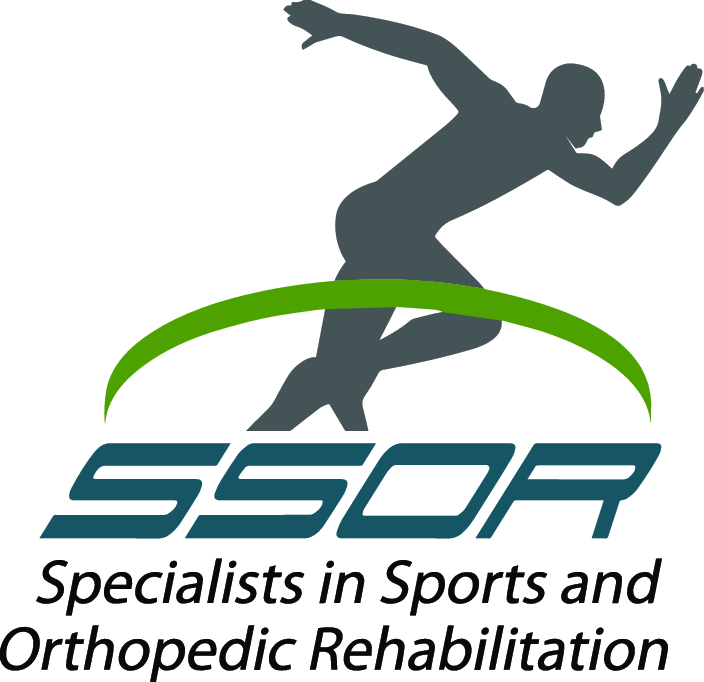 At SSOR, we offer a program that you can continue your “therapy” with us through a “therapy gym” membership. We’ll see up your program for you, make sure you are comfortable with how to perform exercise and use the equipment, and you can come and go as you please and as often as you like. Plus, we’re here to answer any questions or concerns you may have. This is a common question and one you should take up with your doctor. Most of the time, things like jogging and high-impact activities like basketball are discouraged. Things like tennis, golf, swimming, pickleball and other low impact activities are OK. However, if you’ve played a specific sport for a number of years and are technically proficient at it, many physicians will let you do them, albeit reluctantly. You should expect more from your physical therapy after total hip replacement than just a sheet of exercises. Therapy after total hip replacement is more than just exercises – it’s a comprehensive approach to help you achieve your goals. It would be a privilege to serve you and partner with you in your care. Give us a call!